Zac Efron Falls Over Attempting First ‘Baywatch Run’; Turns Into Internet’s Newest Meme! 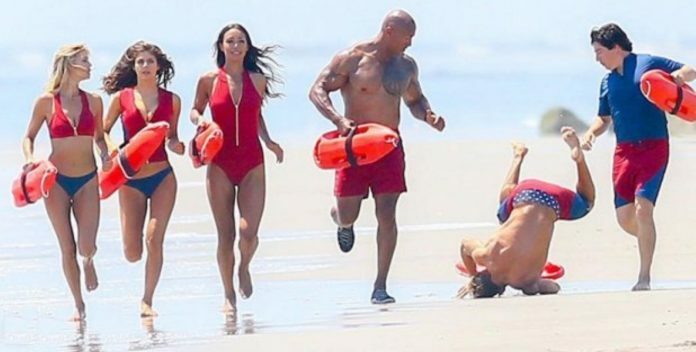 Only during recent filming, when attempting the classic slow-motion ‘Baywatch run’, Efron got into a little trouble and struggled to stay on his feet. In fact, he stacked it and fell over in the most epic way. And it was all captured on camera! Next articleHe Can’t Afford His Own Swimming Pool. But What He Builds For His Family Instead? AWESOME! When He Rescues This Mysterious Baby Animal He Never Imagines They’ll Become BEST FRIENDS!